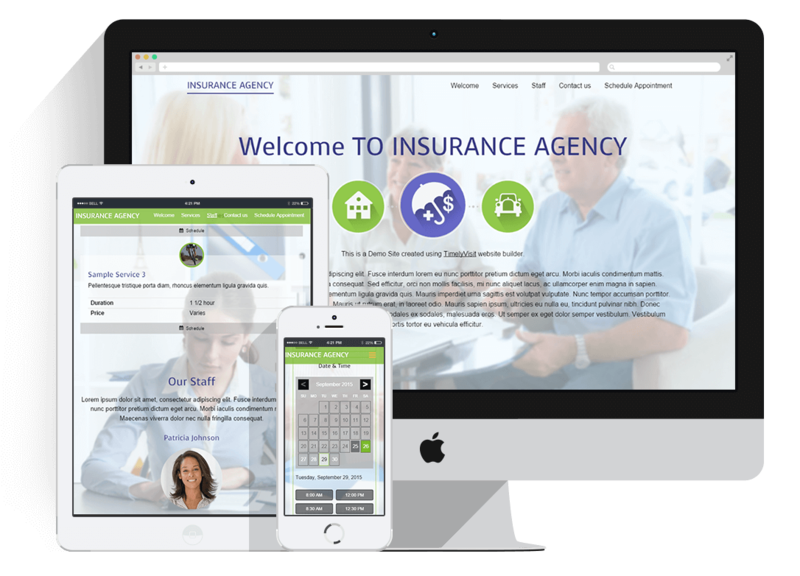 Choose themes specifically designed for insurance agents. Whether you are a one person shop or have a full staff, your site will be professional and express the personality of your business. Create your own custom website as an insurance agent to ensure that the individuals you represent are able to schedule appointments with you at their convenience with online scheduling. Free up both the time you and your secretary spend on the phone with clients as both potential clients and returning clients learn of your new service. Clients will be able to schedule their own appointments with a few simple clicks via your new insurance website. A text message alert is another exceptional option, as it alerts individuals when they have an upcoming appointment. With today’s modern world, many people are turning to digital reminders for simple appointments, and now your clients can enjoy that through your new website.